Scott Peterson is co-founder of Faith Alliance for Climate Solutions and a member of the Unitarian-Universalist Congregation of Fairfax. Feel like the summers are hotter than they used to be? It’s not your imagination. 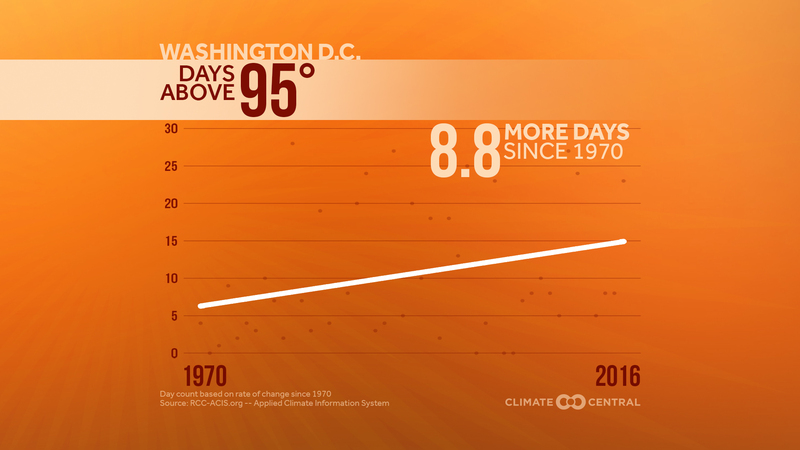 Since 1970, the number of days above 95 degrees in the Washington area has increased by 8.8 days — and that’s just through 2016. The trend for our children is ominous. Pushed through by board Chairman Sharon Bulova (D) over repeated objections from alarmed community groups and votes of “no” by Supervisors John W. Foust and Daniel G. Storck, the plan takes a minimalist approach. Bulova’s plan ignores commitments made to other regional governments, sets a target for renewable energy of solar panels at a single warehouse and addresses only greenhouse-gas pollution for county government operations. Given that private-sector and residential energy activity constitutes about 97 percent of the county’s greenhouse-gas pollution, the lack of a plan for our entire community is tragic. It may not be fiddling while Rome burns, but it comes close. As a person of faith, I believe we are called upon to care for the most vulnerable among us, and members of congregations throughout our area and beyond share that belief. We know children, the elderly and lower-income populations will be most affected by climate change. We need Fairfax County’s leaders to act with urgency to aggressively protect the county’s people and ensure a livable community for the future. But they are not. Fairfax County pledged to take bold action over the past decade. In 2007, former board chairman Gerald E. Connolly (D) shepherded passage of the Cool Counties Climate Stabilization Declaration. Cool Counties pledged to reduce greenhouse-gas emissions 80 percent by 2050, with goals of achieving a 10 percent reduction in greenhouse gases every five years between 2010 and 2050. Fairfax County signed onto the Metropolitan Washington Council of Governments’ Regional Climate and Energy Action Plan. All member jurisdictions are to have community climate action plans in place by 2020. The county’s update to its Environmental Vision also calls for the county’s participation in a regional plan. But no funding was approved this spring by the Board of Supervisors for the creation of a countywide plan, so it won’t be in the 2020 budget. Meanwhile, Fairfax County’s neighboring jurisdictions have had their energy and climate plans in place for years, including Montgomery and Loudoun counties in 2009 , Arlington County in 2012 and the District in 2011. Arlington County has a staff of nine and a dedicated budget of close to $2 million a year. Fairfax County has a coordinator. Other counties and cities regionally and nationwide have demonstrated that a dedicated office with budget, authority and accountability leads to results. But Bulova insists there is no need. Even if we focus on just the small accomplishment of passing a county operations energy plan this month, it is startling in its lack of vision. For example, did Fairfax County join last year with 30 U.S. cities to pledge to purchase for their fleets 114,000 electric cars and trucks? No. Was Fairfax County a member of the new Zero Emission Vehicle Challenge , a coalition of states, cities and businesses from around the world determined to fight climate change that announced a campaign this month to buy even more electric vehicles? No. In June 2017, the Board of Supervisors passed a resolution supporting the Paris climate accord. But passing resolutions is the easy part. We need county leadership to wake up and create a plan for the entire county. Think it’s hot now? 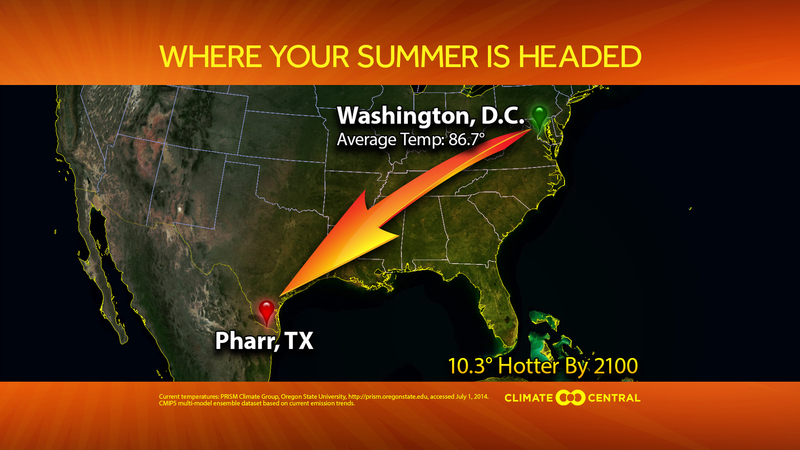 If our leaders — in Fairfax County and across the globe — don’t step up and fulfill their commitments, the average summer temperature in Fairfax County by 2100 — within the lifetime of children born today — will be 97 degrees. Is that the world we want to leave to our children and grandchildren?